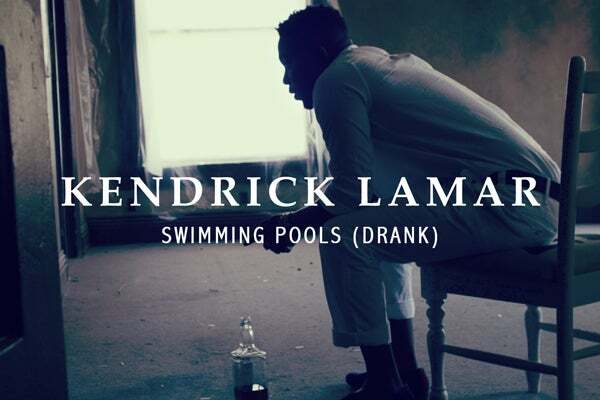 This Is Our Jam: Kendrick Lamar, "Swimming Pools (Drank)"
Recently, there were two new endorsements that hinted at how big Los Angeles rapper Kendrick Lamar has the potential to become. The most unlikely of these was Lady Gaga’s attendance at Chicago’s Pitchfork Music Festival to watch him perform — a crazy event for any artist, let alone a rapper whose major label debut has yet to drop. The second was an interview with Killer Mike for Impose, in which Mike, a notorious critic of contemporary hip-hop, complimented Lamar as one of the rappers who’s doing it right. As different as Killer Mike and Lady Gaga may be, it makes perfect sense that Lamar would appeal to both. “Swimming Pools (Drank),” the second single from Lamar’s upcoming Interscope-released good kid, m.A.A.d. city, is both a serious a hip-hop track and an amazing pop song. A story about the negative effects of alcoholism, the track includes an inner dialogue by way of Lamar’s pitched-up subconscious: “If you do not hear me / Then you will be history, Kendrick.” It’s the sort of schizoid trick that made Eminem, another signee of Dr. Dre, turn heads more than a decade ago. While it may be ill-advised for an artist to try and please everyone at once, thing is, Lamar doesn’t sound like he’s trying at all — he just is.